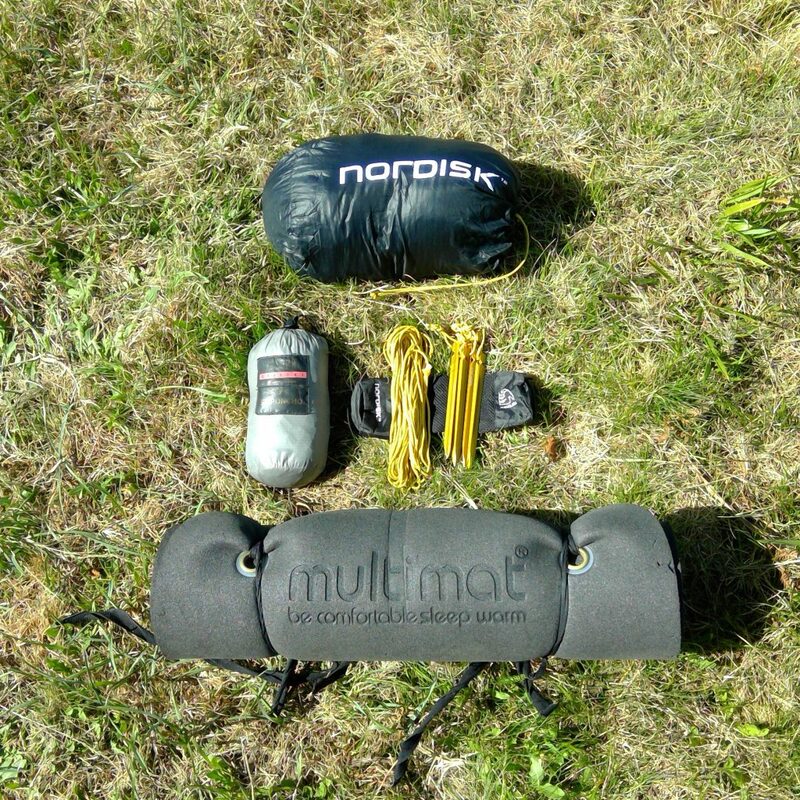 Multi-purpose is a great thing for ultralightweight backpacking. Using your rainponcho to cover yourself and your backpack during the day from rain, and using the same rainponcho to protect yourself from wind, fog, moist, rain etc. during the night saves a lot of weight. Here I anchored it on a tree, but trekking poles or just a stick can be used as well. But the tree is the more steady option. I have a guyline on each side to lift them up so air wont get trapped if the wind direction changes a little. 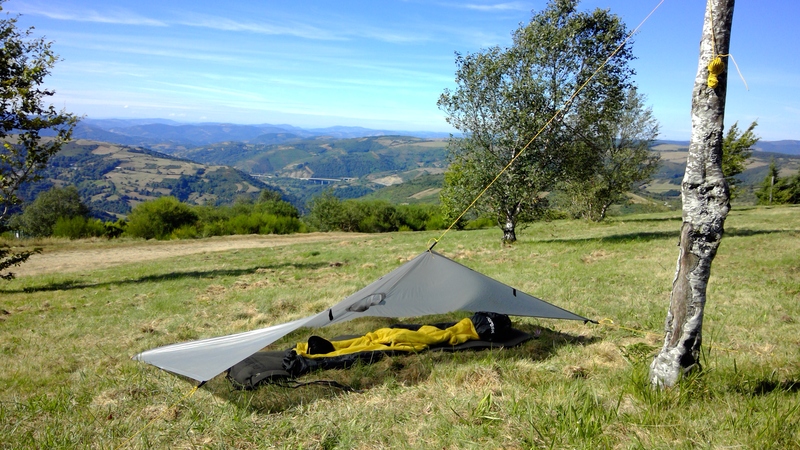 The rainponcho leaves plenty of space with this setup to keep your backpack and shoes dry too.